One of more than a thousand media outlets covering the 2019 NAMM Show in Anaheim, Calif., CNN decided to hone in on how the annual event draws A-list talent from the music world. 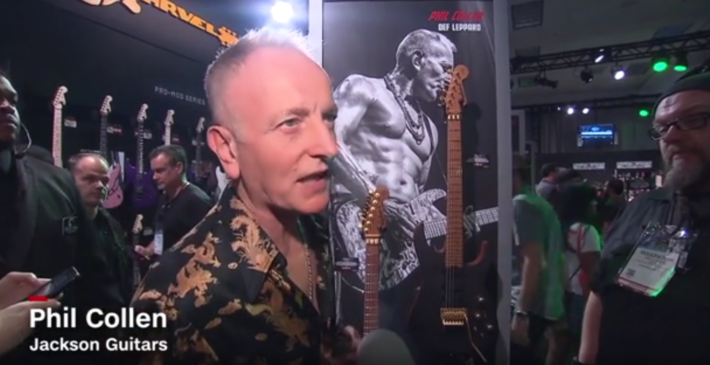 Their reporting thus brought them up to the Jackson booth to catch up with Def Leppard guitarist Phil Collen, who has been a Jackson signature artist since the ’80s. After signing autograph cards and posing for a few hundred selfies, Collen introduced CNN to his newest signature model — USA Signature Limited Edition Phil Collen PC1™ Claro Walnut. “I’ve been with Jackson for over 30 years and constantly working on the PC1 and this is the new one with my new DiMarzio pickup on it,” said Collen. Watch the package below to see more from the NAMM Show.